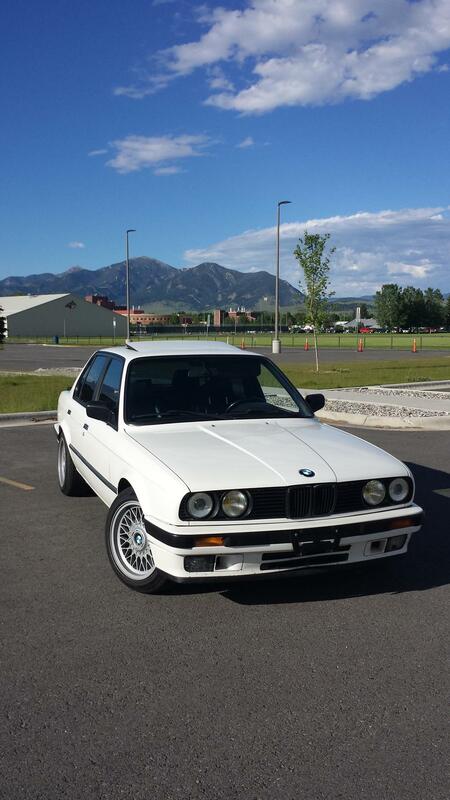 Most of you probably already know about this since we're all Facebook friends, but I bought this e30. Probably trying to fill some empty emotional void in my life. Since I have a new 2 door, I thought an old 4 door would compliment it well. It is great for romantic double dates. I decided this would be the coolest old 4 door possible, and set out to find a good one. This is a life long California car with no accidents. 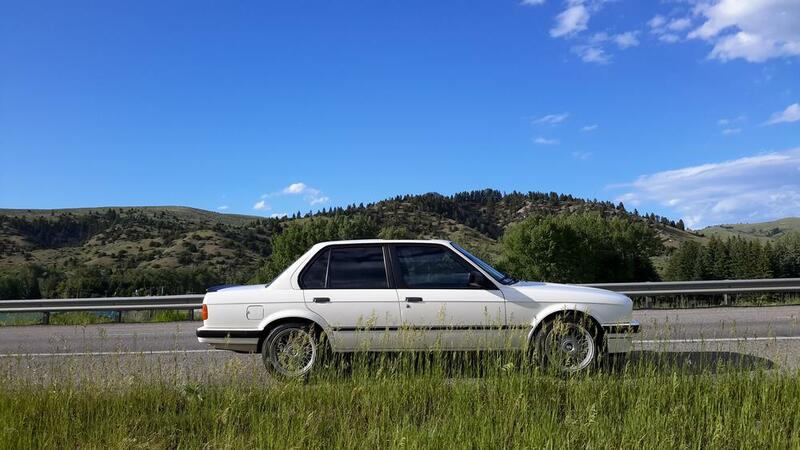 I drove from Montana to Texas in it. Because I was afraid it would break down, I drove straight for 28 hours without turning the car off. I was popping Adderall the whole way. Hadn't slept in like 40 hours.crazy trip. Basically it's been completely reliable, but I have been paranoid about preventative maintenence. New clutch, radiator, timing belt, vacuum hoses. 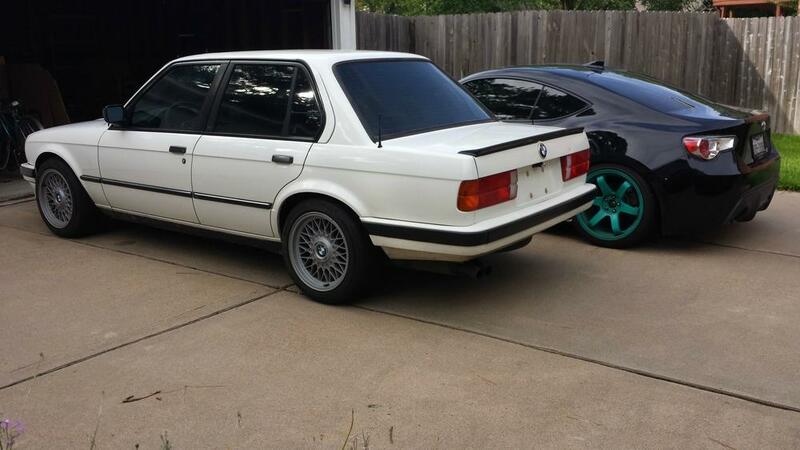 All the money I've put into it, I could have bought a 2007 325i instead of a 1987 325i, but live an learn I guess. It's a charming little car. Ask him about his fuel line repair. Also the doge can fit in it and Ameer likes driving so I never have to be sober on weekends anymore! By the way, driving from Bozeman, Montana (where I picked up the car) to Houston is like driving from Paris to Moscow.